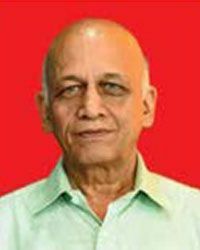 Commodore Rakesh Anand, (IN Retd), is the Chairman and Managing Director of our Company. He has been associated with our Company since June 2010 and was appointed as the Chairman and Managing Director on January 01, 2017. 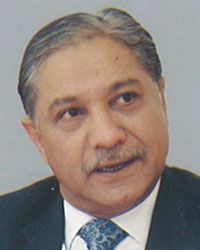 He holds a bachelor’s degree in mechanical engineering from Thapar Institute of Engineering and Technology, Punjabi University, Patiala, a master’s degree of technology in the interdisciplinary programme of materials science from the Indian Institute of Technology, Bombay and a master’s degree in management studies from the Osmania University. He has also undergone a course in medium and shop repair of hydraulic systems and deck mechanisms as engineer technologist from Navy Industrial Training Section, USSR and the marine engineering specialization course from Naval College of Engineering, INS Shivaji, Lonavala. Previously, he has served in the Indian Navy for about 30 years, and has held various assignments both afloat and ashore such as on INS Vijeta, INS Porbandar, INS Saryu and Godavari class frigate. He has served both the Naval Dockyards at Visakhapatnam and Mumbai in various capacities, headed the fleet maintenance unit, Mumbai and held the chair of command engineer officer at headquarters, Western Naval Command. He has also served at the Directorate of Naval Design (Submarine Design Group) and the Directorate of Marine Engineering at Naval Headquarters. Captain Rajiv Lath, (IN Retd), is the Director (Submarine & Heavy Engineering) of our Company. He has been associated with our Company since November 2006 and was appointed as a Director on September 19, 2013. He holds a bachelor’s degree in science from Jawaharlal Nehru University, New Delhi, a bachelor’s degree of technology in mechanical engineering from Jawaharlal Nehru University, New Delhi, and a master’s degree in defence and strategic studies from University of Madras. He has completed basic engineering course from Naval College of Engineering, INS Shivaji, Lonavala, diploma in naval higher command course and post graduate studies from Defence Services Staff College, Wellington. He has also undergone the marine engineering specialization course from Naval College of Engineering, INS Shivaji, Lonavala. He is a fellow member of the Institution of Engineers and is authorized to use the title of chartered engineer. He has completed certification in noise & vibration from INS Shivaji Lonavala, six sigma black belt, lead auditor course in quality management system ISO 9000:2000 standards from National Registration Board for Personnel and Training, Mumbaiand the Institute of Environmental Management and Assessment approved advanced EMS auditor course for both quality and environment professionals. Previously, he has served in the Indian Navy for about 25 years and has held various assignments both afloat and ashore such as on submarines INS Vagli, INS Vagir, INS Karanj and INS Khanderi and submarine support ship INS Amba. He has also served in the commodore commanding submarines (east) and submarine maintenance unit at Visakhapatnam. He was also deputy general manager for the Agray project team, integrated repairs complex, human resources and resource planning verticals in Naval Dockyard, Mumbai. Shri Sanjiv Sharma, is the Director (Finance) of our Company. He was appointed as a Director on June 01, 2015. He holds a bachelor’s degree in commerce from University of Delhi and is a fellow member of the Institute of Chartered Accountants of India. He has over 27 years of experience in finance and business planning. He is also in charge of the computing and information technology department and chief information security officer of the Company. Previously, he was working with our Associate Company, Goa Shipyard Limited as director (finance). 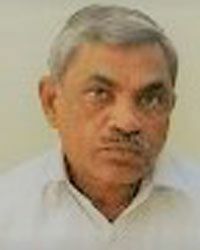 Commodore T V Thomas, (IN Retd), is the Director (Corporate Planning and Personnel) of our Company. He has been associated with our Company since May 2013 and was appointed as a Director on November 02, 2017. He holds a bachelor’s degree in science from Jawaharlal Nehru University, New Delhi, a bachelor’s degree of technology in mechanical engineering from Jawaharlal Nehru University, New Delhi and a master’s degree of technology in mechanical engineering with specialisation in production engineering from Indian Institute of Technology, Bombay. 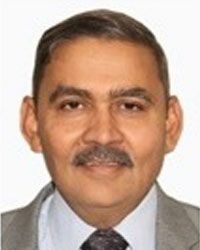 Previously, he has served in the Indian Navy for over 28 years, and has held several assignments both afloat and ashore including as engineer officer of INS Viraat, executive officer of INS Shivaji and command engineer officer of Southern Naval Command. 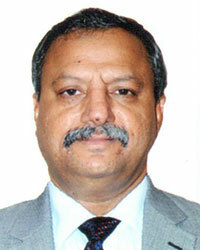 Rear Admiral Anil K Saxena, (IN Retd), is the Director (Shipbuilding) of our Company. He was appointed as a Director on March21, 2018. He holds a diploma in naval construction from Indian Institute of Technology, Delhi, a master’s degree of science in ship design from Naval Academy, St. Petersburg, Russia and a master’s degree in management studies from Osmania University, Hyderabad. He has also participated in programme on project management from Indian Institute of Management, Ahmedabad, a level ‘D’ certification from Project Management Associates, India and also holds a certificate of higher defence management course from College of Defence Management, Secunderabad. He is a member of the lloyds register naval ship technical committee, Lloyd’s Register, London. Previously, he has served in the Indian Navy for about 35 years in various capacitiessuch as warship production superintendent of the warship overseeing team, Mumbaiand as principal director of the directorate of naval design. He has also held appointments inthe directorate of naval architecture and directorate of ship production of Indian Navy. He has also served in both Naval Dockyard at Mumbai and Vishakhapatnam. Barun Mitra, aged 56 years, is the Nominee Director of our Company. He was appointed as a Director on July 17, 2018. He holds a bachelor’s and a master’s degree in arts (history) from University of Delhi. 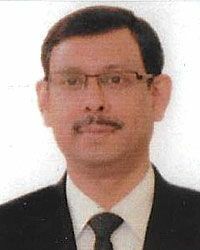 He also holds a bachelor’s degree in law from the Delhi University and a post gradualte diploma in patents law fromNational Academy of Legal Studies and Research University of Law, Hyderabad. He is currently the Additional Secretary (Defence Production) in the Ministry of Defence, Government of India. He is an Indian Administrative Service officer (Manipur cadre) of 1987 batch with over 30 years of administrative experiencein wide array of fields like urban development, district administration, health and family welfare, human resource development, personnel and general administration shipping and defence. Professor Shridhar L Bapat, is an Independent Director (Part Time Non-Official) of our Company. He was appointed as a Director on November 27, 2015. He holds a bachelor’s degree in mechanical engineering from Nagpur University, a master’s degree of technology in thermal engineering and a doctorate of philosophy from Indian Institute of Technology, Delhi. He has over 36 years of experience in the field of teaching and research. He is currently holding the post of emeritus fellow in the Department of Mechanical Engineering in IIT, Bombay. 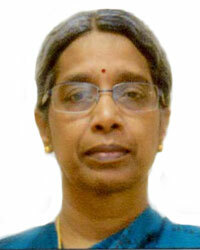 Mrs Usha Sankar, is an Independent Director (Part Time Non-Official) of our Company. She was appointed as a Director on November 27, 2015. She holds a master’s degree in arts from the University of Madras and a master’s degree in business laws from National Law School of India University. She has about 35 years of experience in the field of government audit and accounts and has retired as deputy comptroller and auditor general (commercial) from the office of the Comptroller and Auditor General of India. Vice Admiral Sanjeev Bhasin, (IN Retd), is an Independent Director (Part Time Non-Official) of our Company. He was appointed as a Director on January 07, 2016. He holds a diploma on graduation from the Naval Command College from the United States Naval War College, a diploma of naval higher command course from College of Naval Warfare and a master’s degree of philosophy in defence and strategic studies from University of Madras. He has over 39 years of experience with the Indian Navy including navigation and has held a variety of command and human resource management positions. He has commissioned two indigenously built guided missile warships INS Khukri and INS Mumbai as commanding officer. Previously, he was holding the position of flag officer commanding-in-chief, Western Naval Command and retired as a vice admiral naval flag officer. Shri Devi Prasad Pande is the Independent Director (Part Time Non-Official) of our Company. He was appointed as a Director on September 13, 2017. He holds a master’s degree in arts (history) from University of Allahabad. He has over 37 years of experience in operations and commercial branches and has held several executive and managerial posts in the Indian Railways. 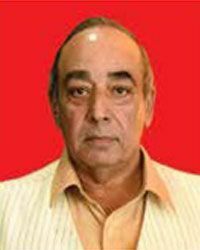 Previously, he was a member of the Railway Board and was an ex-officio secretary to the Government of India. 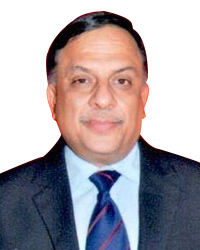 Professor Kamaiah Bandi is the Independent Director (Part Time Non-Official) of our Company. He was appointed as a Director on October 10, 2017. He holds a bachelor’s degree in arts, a master’s degree in arts (economics), and another master’s degree in arts (econometrics) from Sri Venkateswara University. He also holds a doctorate of philosophy from Indian Institute of Technology, Bombay. He has over 35 years of experience in the field of teaching and research at various institutions and universities in India. He has received a certificate of appreciation by the University of Hyderabad for his valuable contribution to the University as a faculty member. 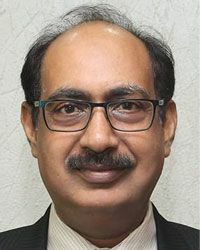 Presently, he is a professor, head of School of Economics and dean of Research and Development at Shri Mata Vaishno Devi University, Katra-Jammu. Previously, he was associated with Centre for Economic and Social Studies, Hyderabad, National Institute of Bank Management, Pune and Indira Gandhi Institute of Development Research, Mumbai. 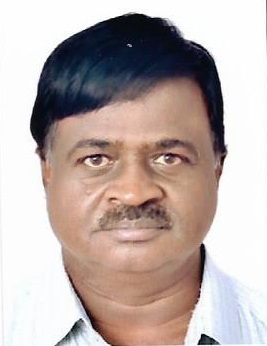 Dr Mailareshwar J. Jeevannavar, is the Independent Director (Part Time Non-Official) of our Company. He was appointed as a Director on March 09, 2018. He holds a bachelor’s degree in medicine and surgery from Government Medical College, Bellary, Karnatak University and a diploma in clinical pathology from Karnatak Medical College, Karnatak University. He is a practising medical practitioner.